This large decorator sphere of natural rose quartz measures 6.5 inches in diameter. See also an opposite side view of this rose quartz sphere. 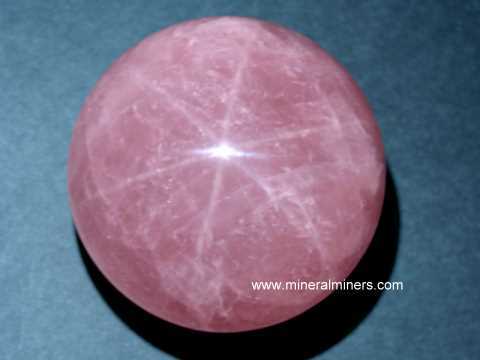 This rose quartz sphere is semi-transparent and has pale pink natural color. 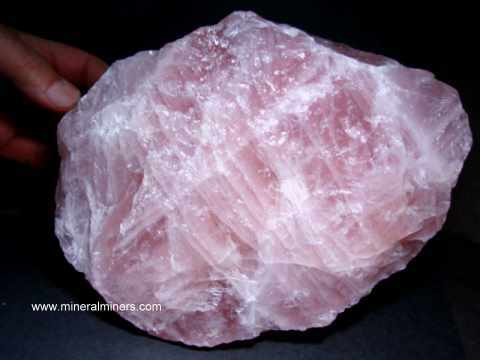 This beautiful decorator sphere of natural rose quartz measures 8.5 inches in diameter. 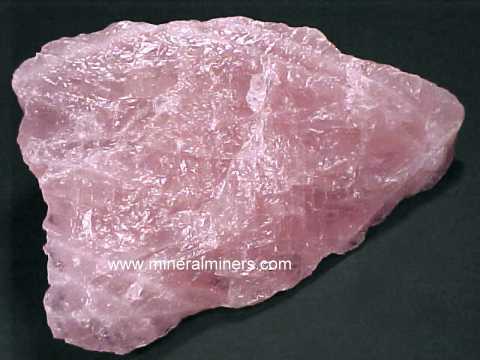 It is translucent to semi-transparent and has lighter areas and areas very nice medium rose-pink natural color. See also an opposite side view of this large rose quartz sphere. 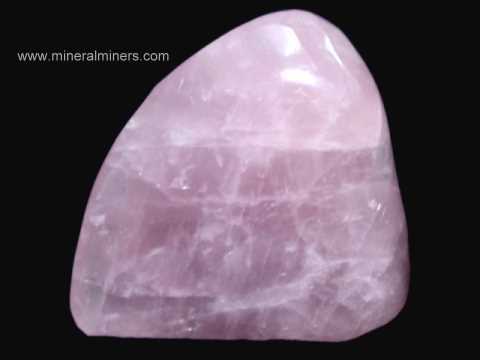 This beautiful decorator sphere of natural rose quartz measures 9 inches in diameter. It is translucent to semi-transparent with some white to light pink areas surrounded by beautiful deep lavender-pink natural colors. See also an opposite side view of this large rose quartz decorator sphere. 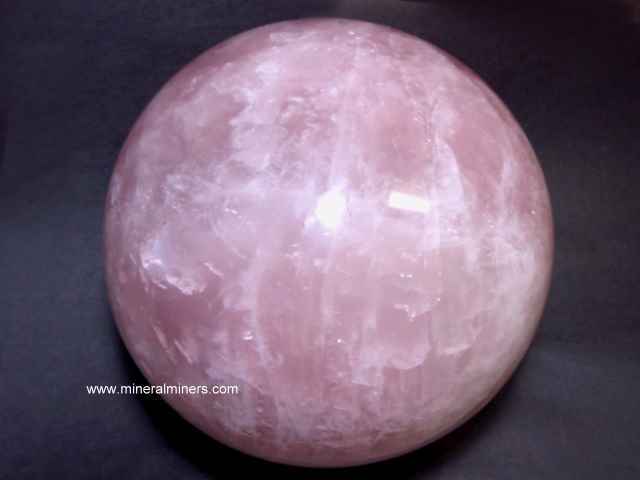 See also a side view of this amazing large rose quartz sphere. Rare quality pieces of natural rose quartz averaging 1/2 inch long with rich rose-pink natural color were tumbled & polished in baroque shapes, and then drilled and strung into this superior quality rose quartz bracelet with an elastic band fitting all wrist sizes up to a size 8. These natural rose quartz beads have very fine transparency ranging from faintly included to totally clean with a slightly silky look, and they have not been heated or treated in any way! This fine quality rose quartz bracelet was handcrafted in 925 sterling silver with open back settings and set with seven rare quality faceted rose quartz gemstones with checkerboard tops ranging in size from 10x10mm up to 14x10mm in assorted shapes. 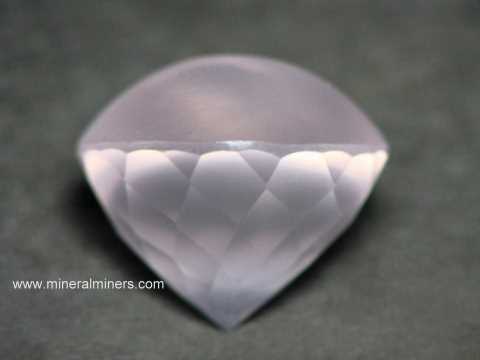 These untreated rose quartz gems have natural pale pink color with very rare eye-clean transparency! 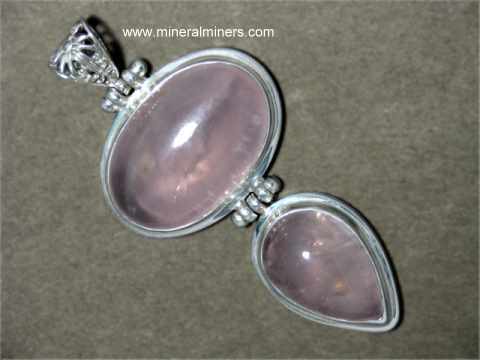 The photo at left shows a close-up view, see also a full view of this genuine rose quartz jewelry design. This 925 sterling silver rose quartz bracelet was handcrafted and bezel set set with open backs under 8 oval shaped 14x10mm cabochon gemstones of light pink natural color rose quartz. 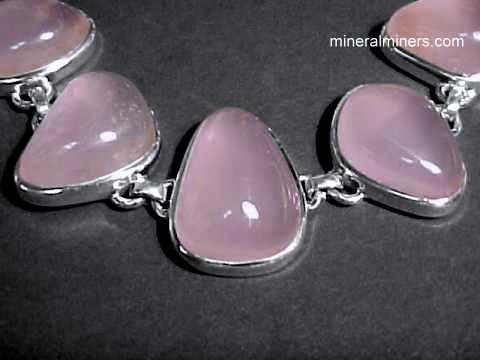 These genuine untreated rose quartz gemstones are semi-transparent. 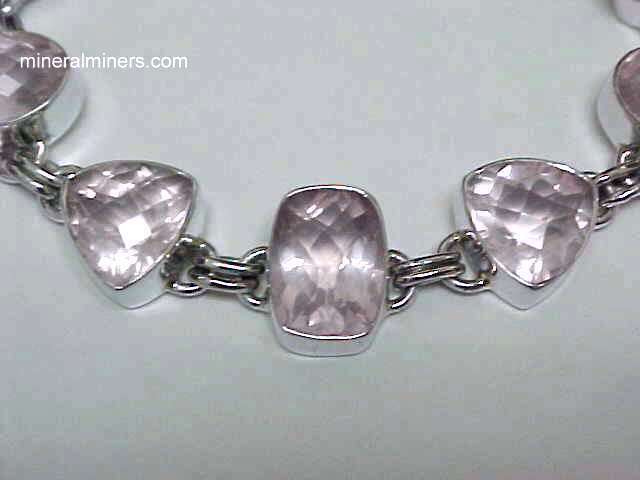 This 925 sterling silver rose quartz bracelet was handcrafted and set with 5 free-form shape cabochon gemstones of light pink natural color rose quartz. 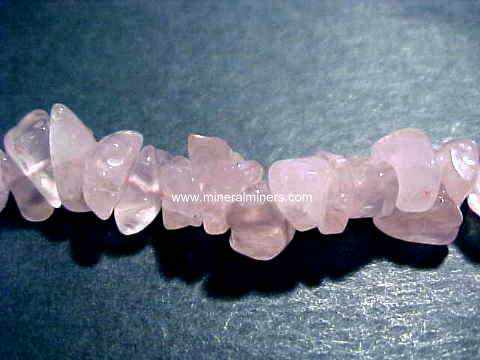 These untreated rose quartz gemstones measure from 20x15mm up to 24x18mm. The photo at left shows a close-up view, see also a full view of this genuine rose quartz jewelry design. 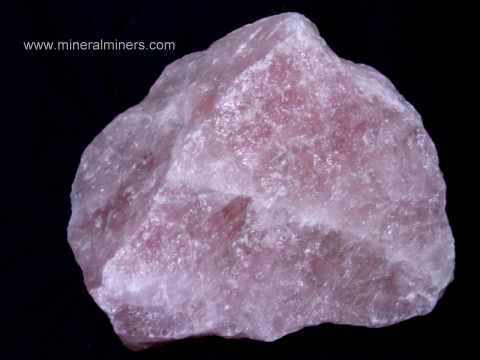 Our Rare Collector Quality Rose Quartz Items & Spectacular Rose Quartz Decorator Specimens are 100% Natural Rose Quartz! 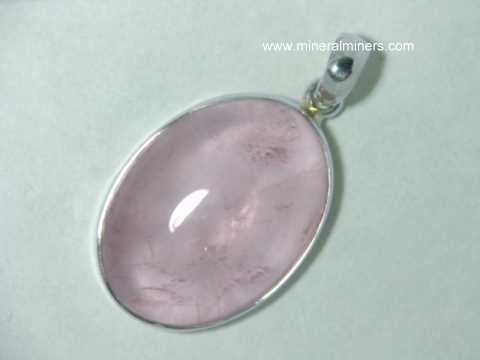 We have a selection of genuine rose quartz jewelry designs available in pendants, necklaces and bracelets. 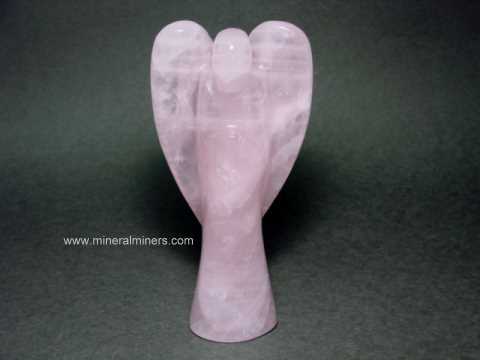 Would you like us to inform you when we more spectacular decorator specimens and rare collector quality natural rose quartz items on this page?